Our therapists provide residents with specially tailored treatment plans designed to recapture health, independent living and facilitate a return to home. 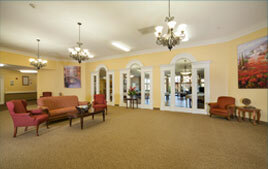 We want Shiloh to feel like home to all of our guest. To schedule a tour of our facility please fill out the form to the right.